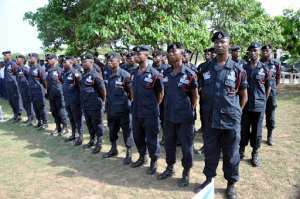 Mr George Kpodo, Chief State Attorney in Bolgatanga, has called on the Police Administration to resource the Upper East region with police investigators to help expedite various investigations. He said the region lacked competent police investigators and very serious crimes were investigated and handled by junior police officers. Mr Kpodo made this known during an interaction with the Attorney General and Minister for Justice, Ms Gloria Akuffo, who was in Bolgatanga last week on a working visit to the Region. Mr Kpodo said the inability of the Police to present trained and qualified prosecutors to handle cases at the courts is a concern and called on the Police Administration to expedite action on the matter. He said the Attorney General only acted on cases when these cases are investigated by the Police. He said in spite of the challenges confronting the AG's office in the region- keeping only two lawyers- the office does not compromise on law and order in the region. Mr Kpodo said various challenges confronting the Department include office accommodation, delays in staff allowances; during the visit of the Attorney General and Minister of Justice she also saw the only vehicle of the office which was more than 10 years old and was draining coffers of the office from regular breakdowns. He said shortage of staff in the region was hampering work, because some had retired and those vacancies were not filled and added that the region had only two lawyers managing the Department. We need an additional five lawyers to strengthen the office, he said. Police Superintendant Samuel Punopyin Tibil, Bolgatanga Municipal Police Commander, urged police officers posted to rural and deprived areas to take up transfers to offer their services and help improve on the work of the police administration.